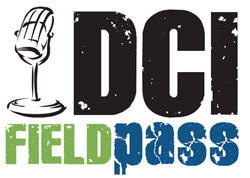 On Thursday's Field Pass, Dan Potter talks with Sergeant Alexandra Perkins, a member of "The Commandant's Own" United States Marine Drum & Bugle Corps. Sergeant Perkins, a former member of the Glassmen, is the first female contra bass player in the history of the Marine Drum & Bugle Corps. Download and listen now. (MP3, 3.3MB) Subscribe to this podcast.